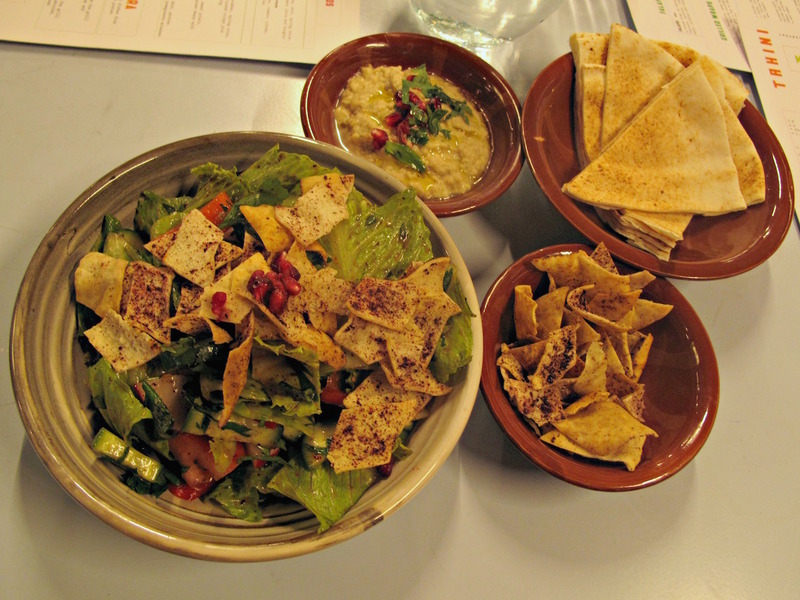 Dukkah is a bright new arrival on Vernon Street. The long dining room has been done up a treat. It’s casual and elegant, spacious and warm. There’s a lot of old, gorgeous wood in use. 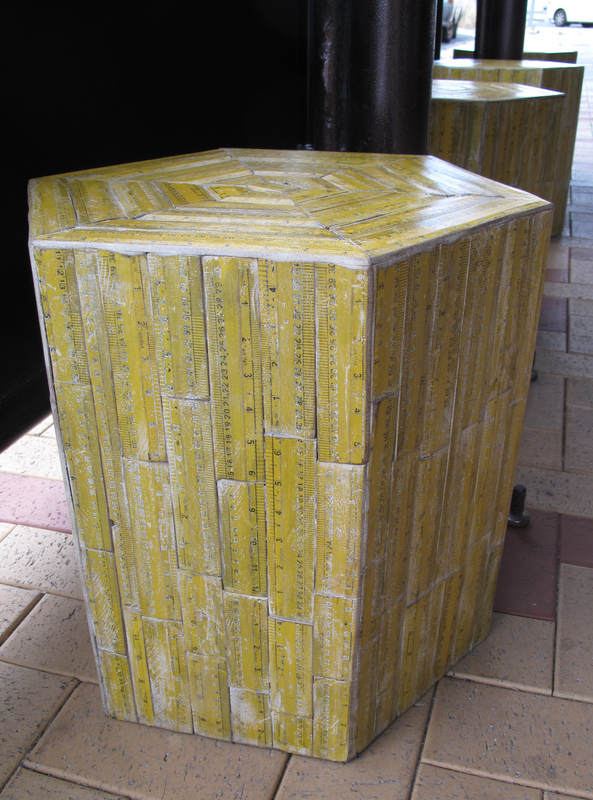 … and even rulers for the outdoor seating. Bennie and I choose the easy option of getting stuck into the share platter, which sells for $48 for two people. 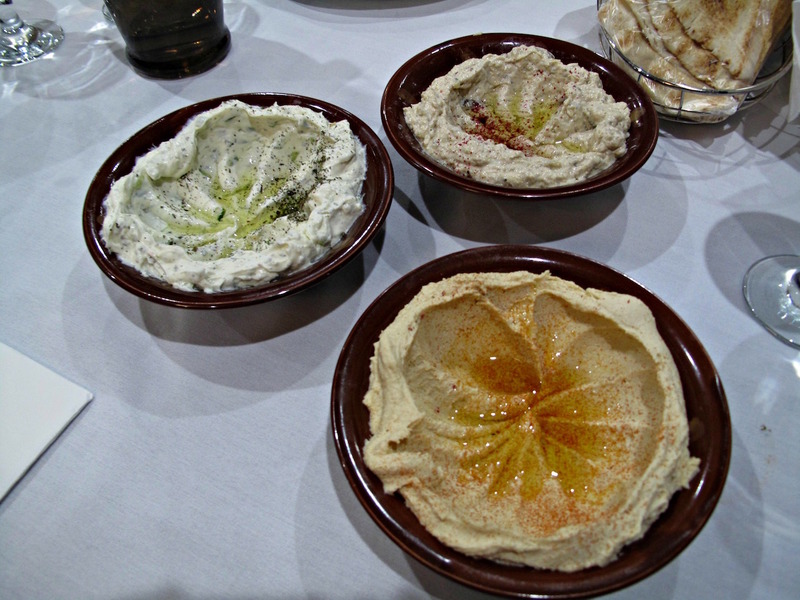 It starts with three dips, all with clear and concise flavours – and all offering something different from most Mid-East eats emporiums. 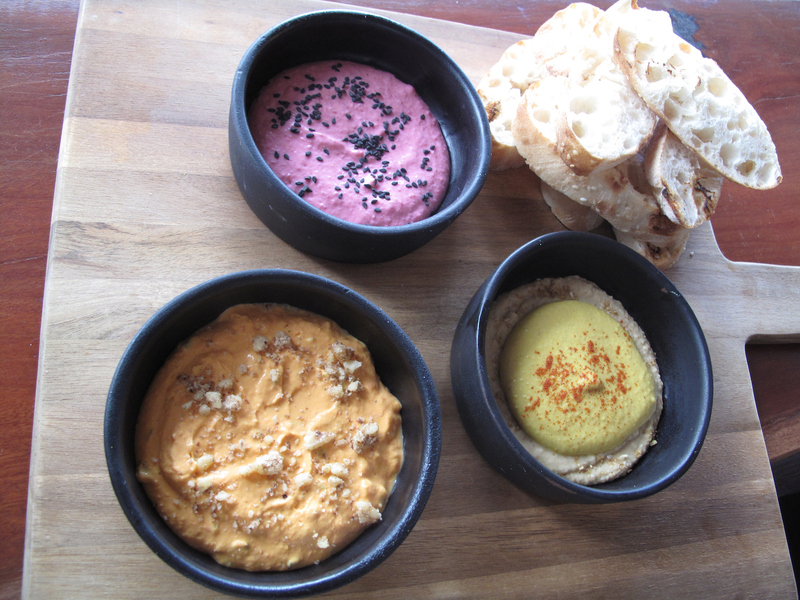 Lemon turmeric hummus with Egyptian dukkah, fel-fel (chargrilled capsicum cream cheese with sweet paprika, walnuts and chives) and beet labneh (caramelised beetroot and yoghurt with black sesame seeds) come with good toasted bread that runs out just before we’ve slurped the last of the dips. But as Bennie quips, more bread and we’d be stuff before the mains arrive. Oh my golly gosh – they are splendid! 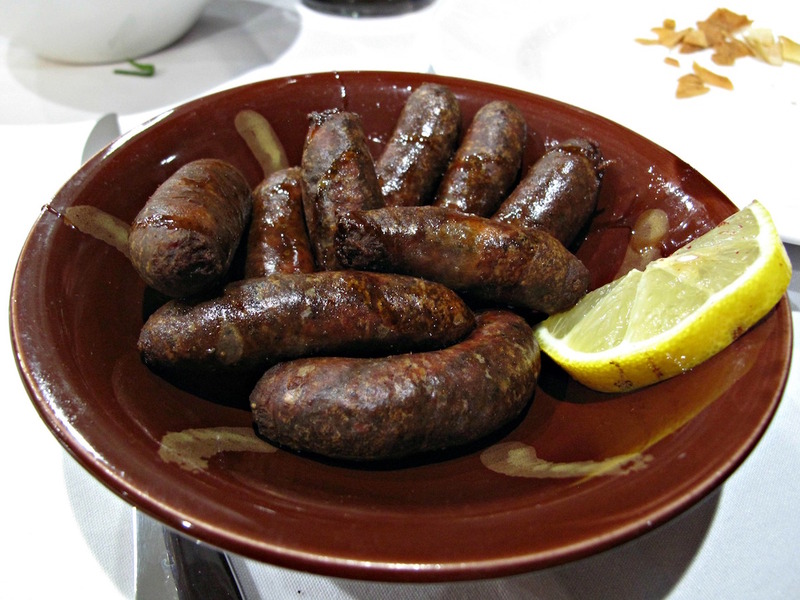 Two fat, exemplary cigars of lamb kofta – dense, perfect and with just the right mild level of ME-style seasoning. 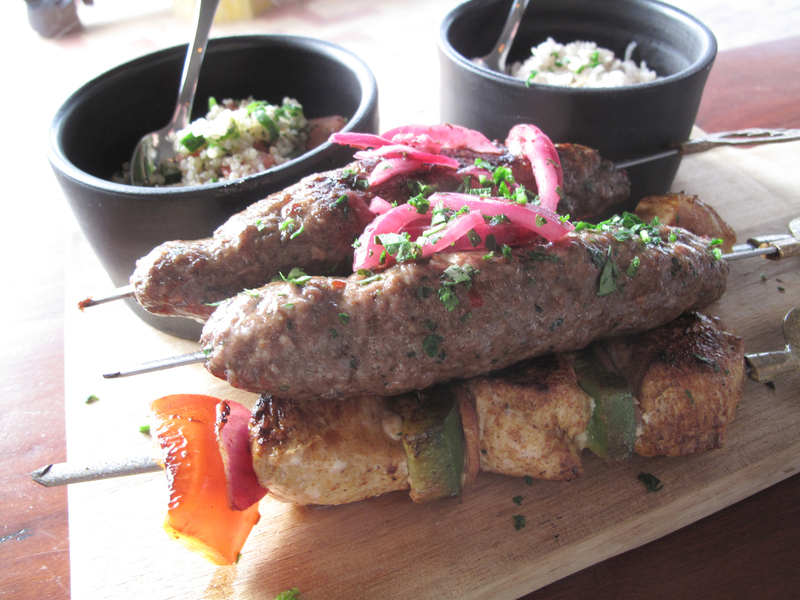 Two skewers of chicken shish tawook with capsicum and red onion. The chook chunks look sufficiently and worrying large to promise dryness, but such is emphatically not the case. Out meaty skewers are accompanied by very nice quinoa tabouli and rice pilaf in exactly the right proportions. As we gleefully devour all, father and son banter a bit about the merits of our meal – and its price. Bennie reckons $48 is a bit steep, with the sort of deal he gets at his beloved Footscray Best Kebab House colouring his views profoundly. I beg, very much, to differ. 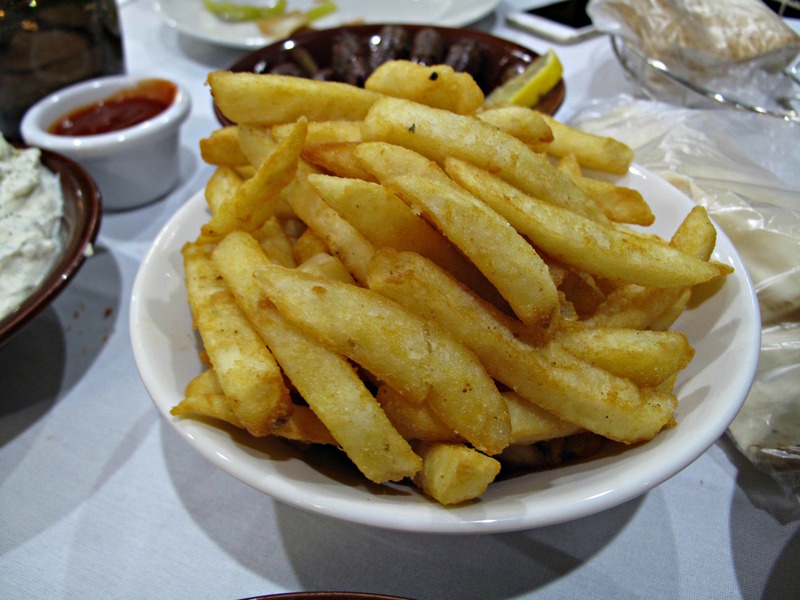 Dukkah is a quite different sort of place and the quality – especially of the meats – is above that of the majority of kebab shops. 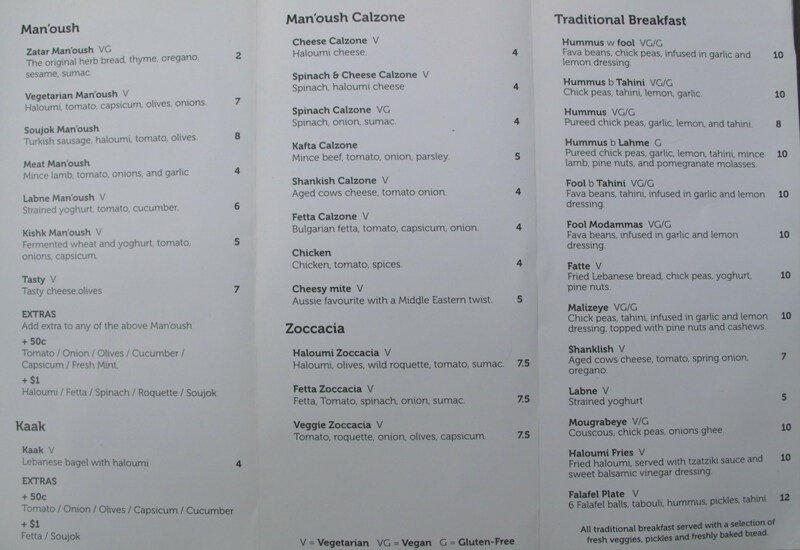 And the combined regular cost of our dishes from the menu would be $54. 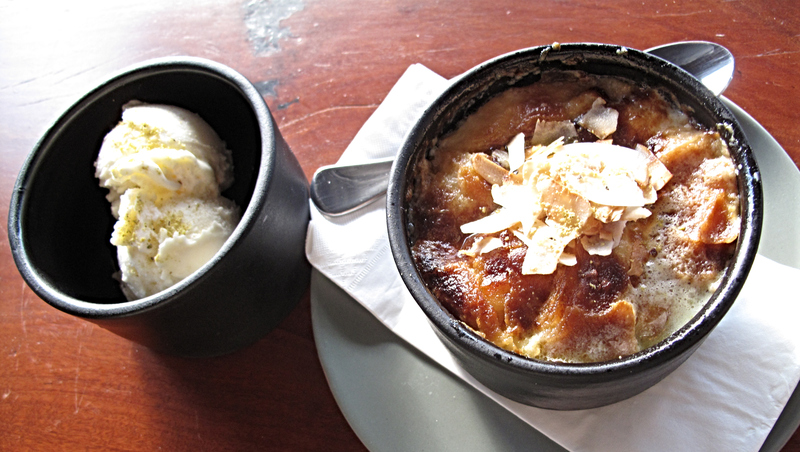 No such quibbling is possible with the Dukkah desserts – and we try both. 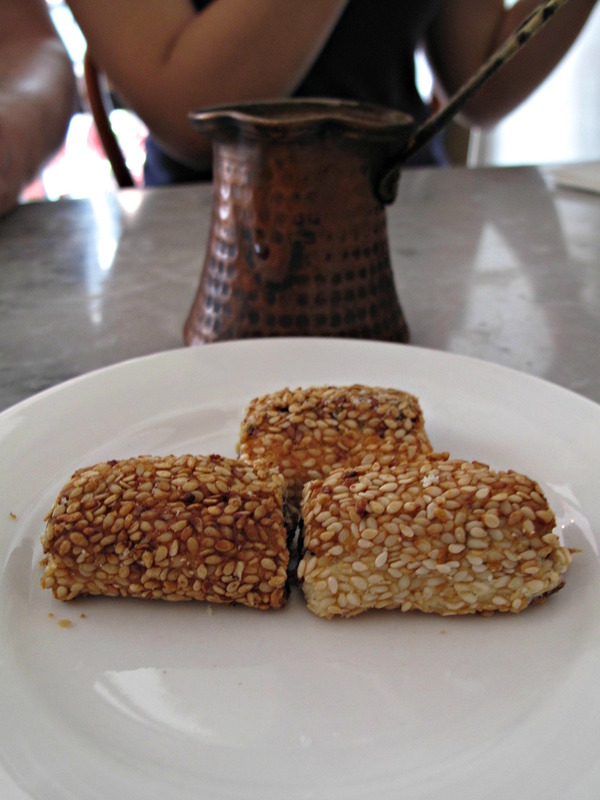 Om ali – puff pastry pudding with coconut, cinnamon milk, hazelnut and sultanas served in a tagine – is the Egyptian version of bread-and-butter. It’s wonderful, rich, quite heavy. This beauty – which could easily serve two – clocks in at a very cheap $12. Kunafa (layers of shredded angel hair pastry, mango and cream topped with pistachio dust and rose petals, top photo) is lighter, a good deal more playful – and just as tasty. It, too, is priced keenly at $11. The days when Vernon Street was a regular haunt for us – remember Famous Blue Raincoat? – seem long ago now. 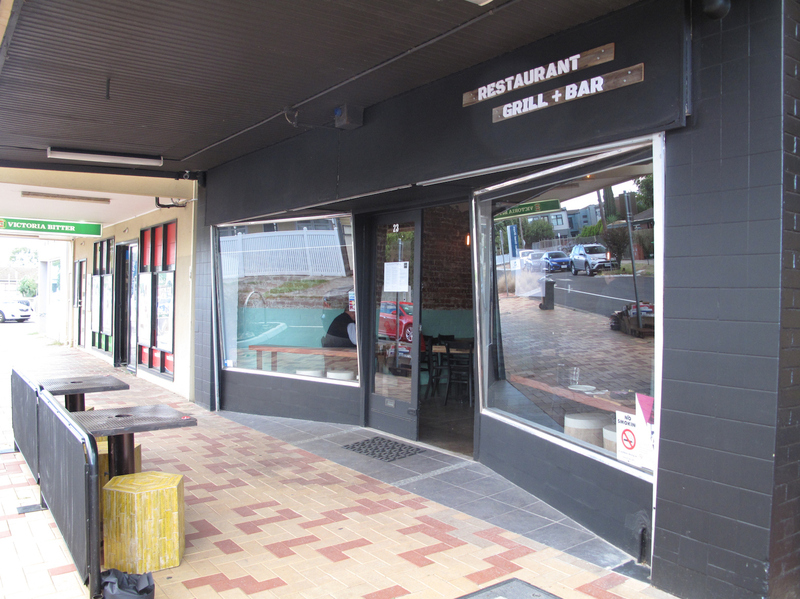 As a food destination, the street faded for a while there, with the introduction of one-way traffic undoubtedly altering the neighbourhood’s dynamics and probably the viability of some business. But perhaps Dukkah is joining other local businesses in creating something of renaissance here. 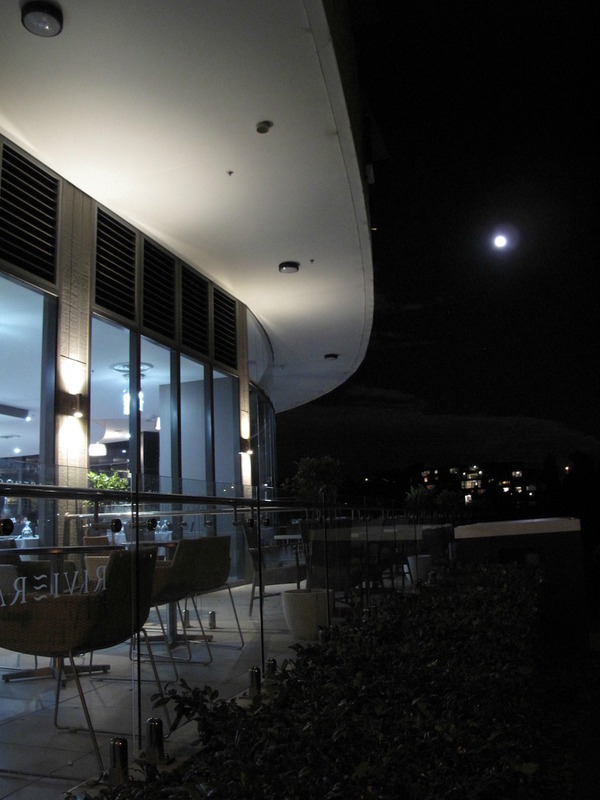 Check out the Dukkah website – including menu – here. 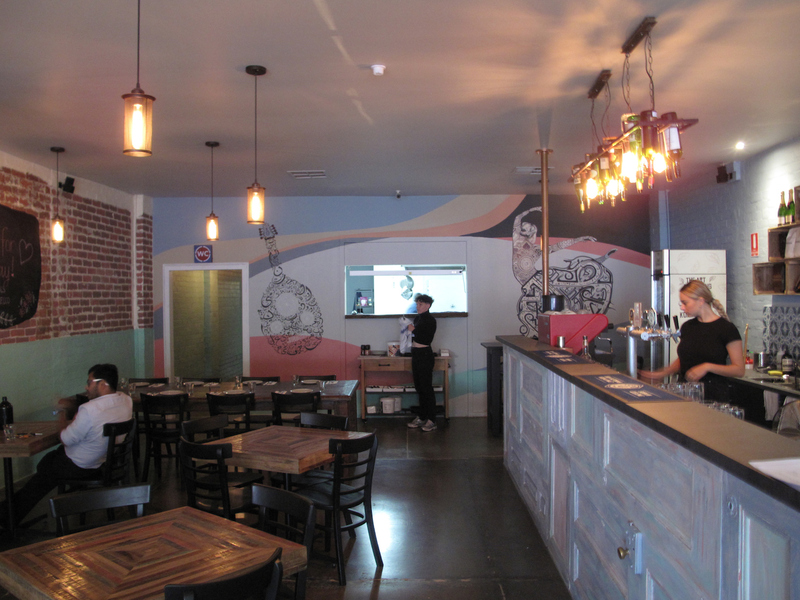 It was only after the relatively recent discovery that Mankoushe had long since evolved from a hole-in-the-wall Lebanese-style pizza/pie shop to become a real, live bona fide restaurant that I ensured I was within their social media loop. And it is only by doing that I find out they’ve been running semi-regular vegan feasts – and that another is scheduled very soon. We – as in three members of Team CTS – are in! 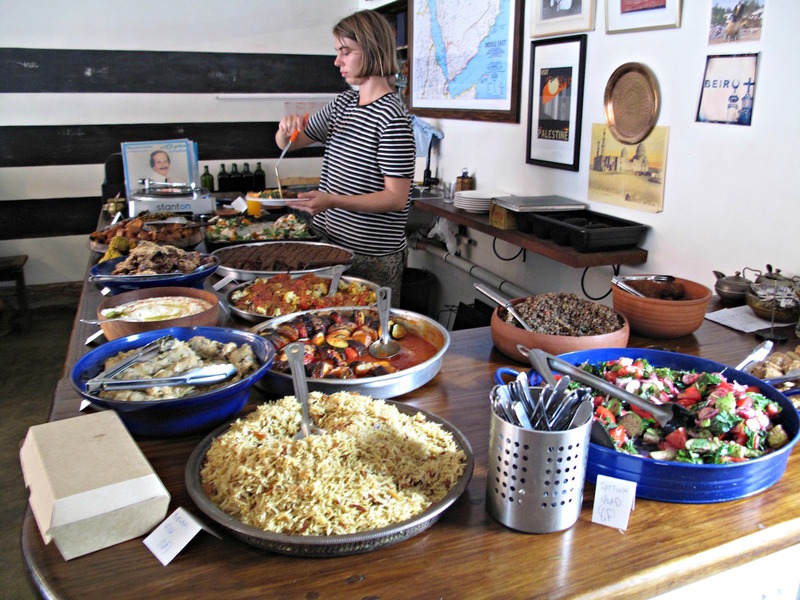 A wild vegan spread of food under a Mediterranean/Middle Eastern spell sounds grand to us, especially at what sounds like a bargain price of $25 per person. 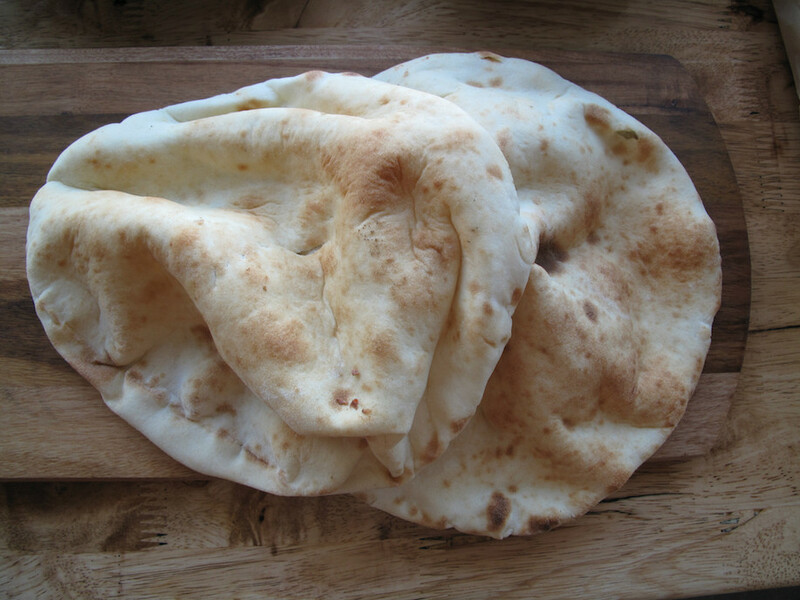 On the drive there from the west, we speculate about what a Middle Eastern vegan line-up may look like. 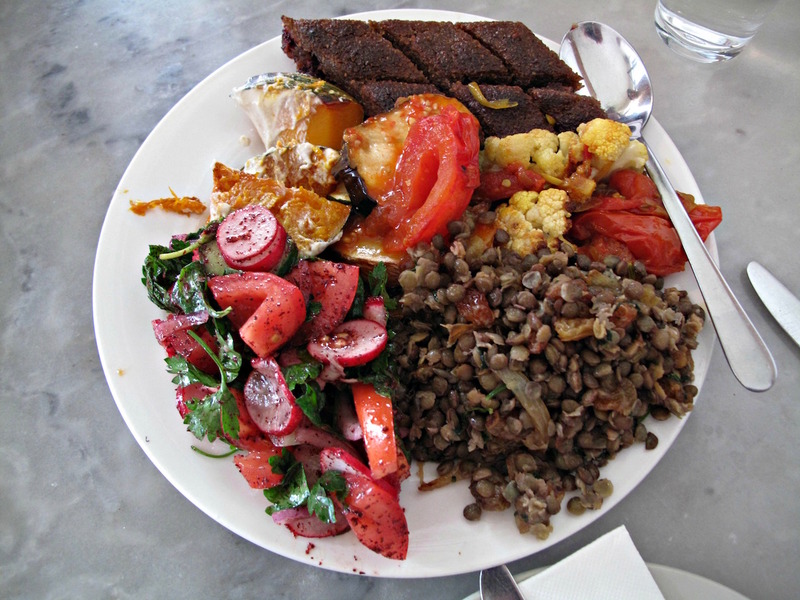 I have long believed that were I to move to a meat-free diet, then going largely or even wholly going the Middle Eastern route would be an obvious direction in which to move. That does make it a little trickier – no yogurt or cheese, just for starters. So … lots of nuts, seeds and grains, we surmise. 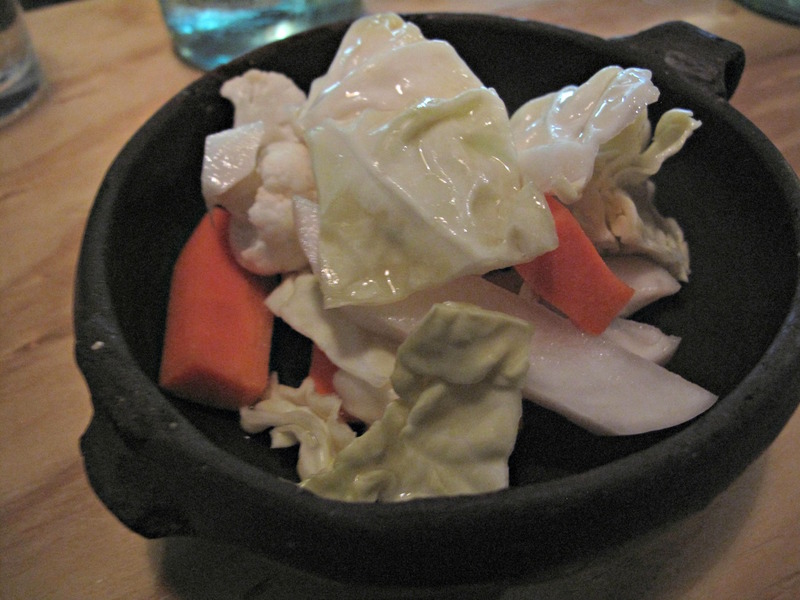 Lots of “meaty” vegetables such as eggplant, cauliflower, beetroot and potato. And that’s how it is – with a few twists along the way. 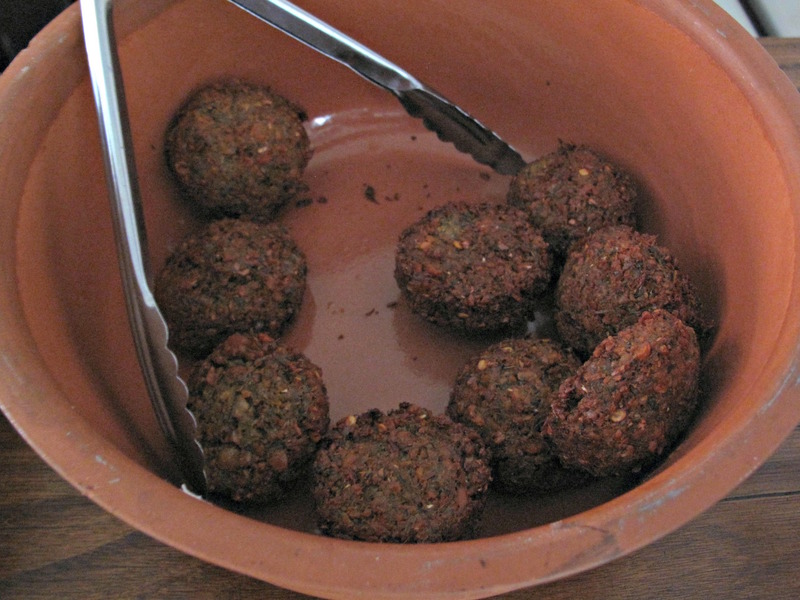 Including a wonderful and chewy kibbeh made of various nuts. The food is not served to us in the multi-course fashion we may have been wishing and (secretly) hoping for. Instead, two sharing platters are brought to our table laden with goodies laid out buffet-style at the back of the dining room. When we’re done with them, another is brought – this time with our top picks from the previous serves and with a few things we missed out on first time round. And we could’ve gone on from there, had we had any more room to fill. 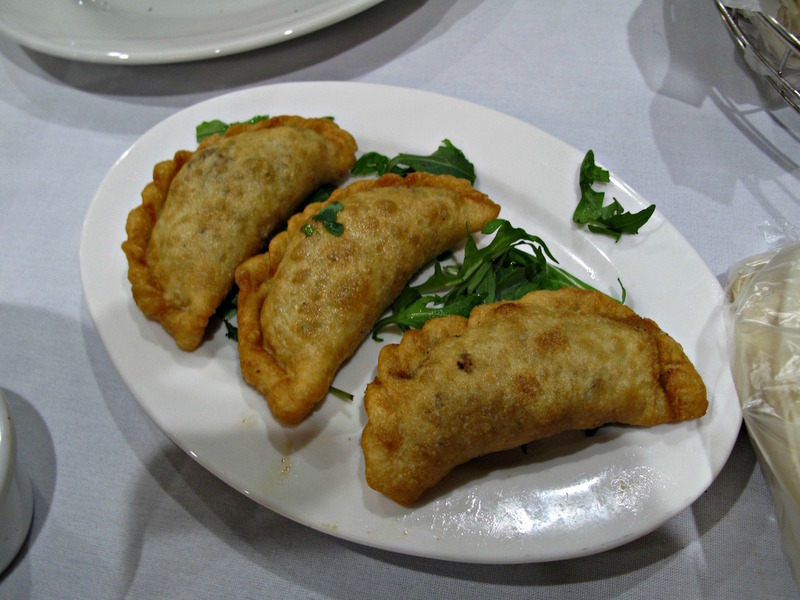 The food is as we have been expecting – both in quantity and quality. 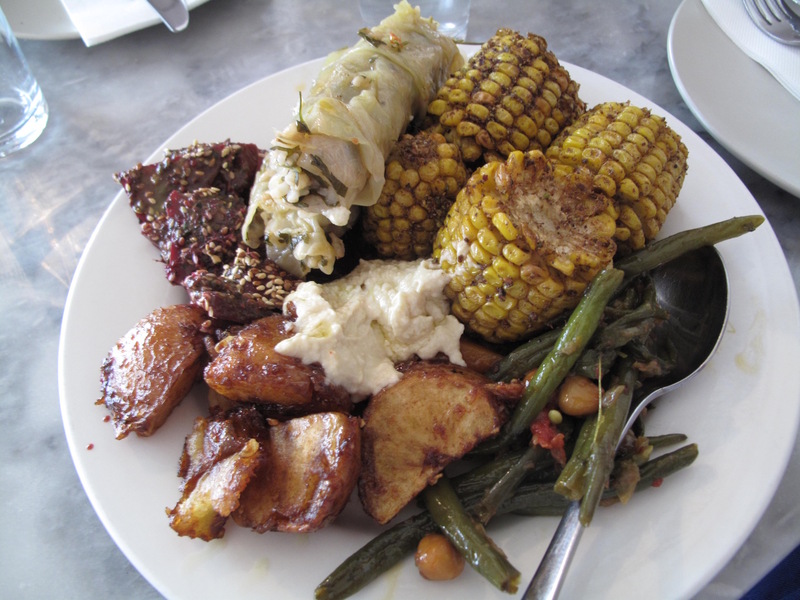 And if it’s been buffet-style rather than the out-and-out banquet the phrase “vegan feast” tends to suggest, $25 is still a bargain. I’d be happy to do this again anytime. 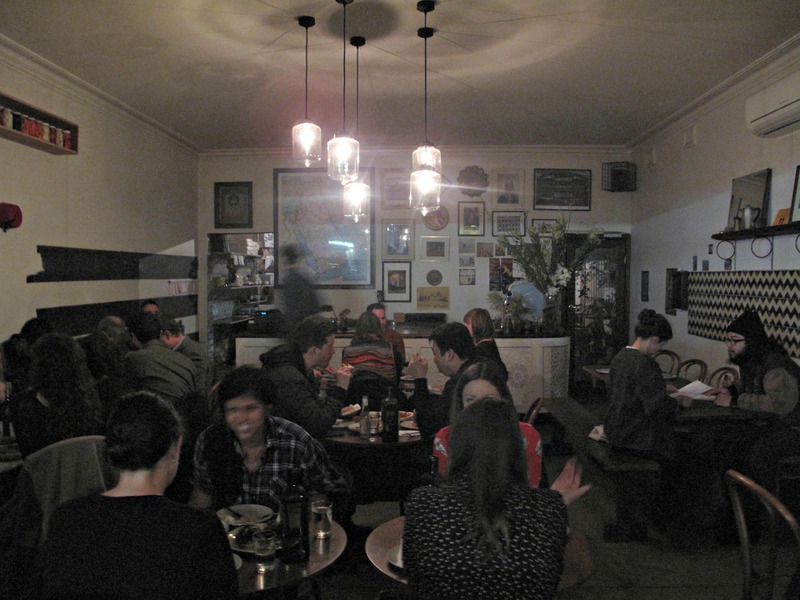 Back in the early days of Consider The Sauce, we frequented on several occasions a wonderful hole-in-the-wall cafe/bakery in Brunswick East that did a red-hot line Lebanese pizzas and pies. In the several years since then, we have moved on to other things and places. Since then, too, much has changed with Mankoushe. 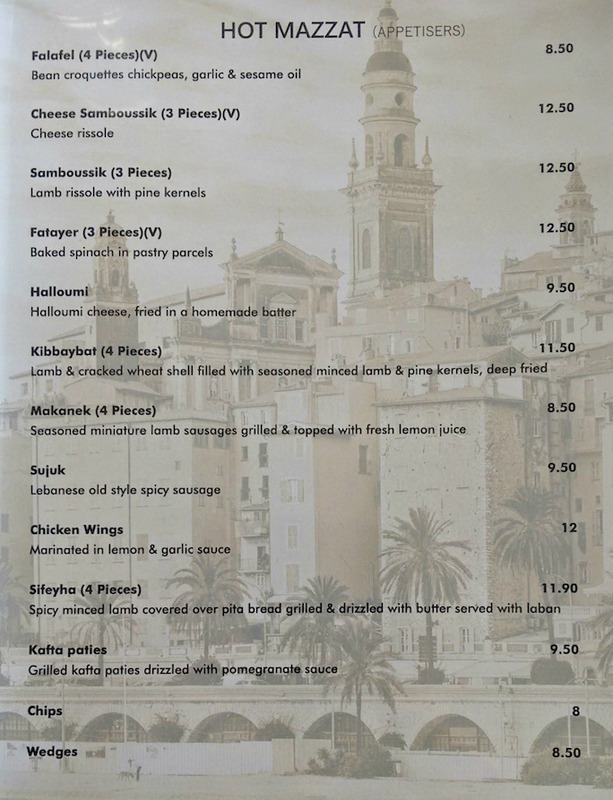 A year or so after our story, a Mankoushe restaurant proper was opened right next door; and then about six months ago, the bakery was closed – though the restaurant still does those great pizzas ‘n’ pies, with the lunch menu dedicated to them. 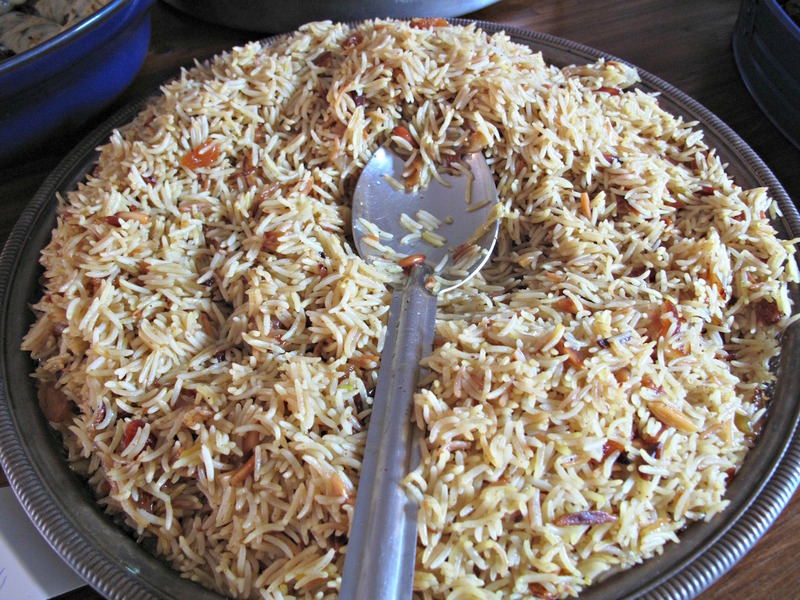 You can check out the lunch and dinner menus at the Mankoushe website. 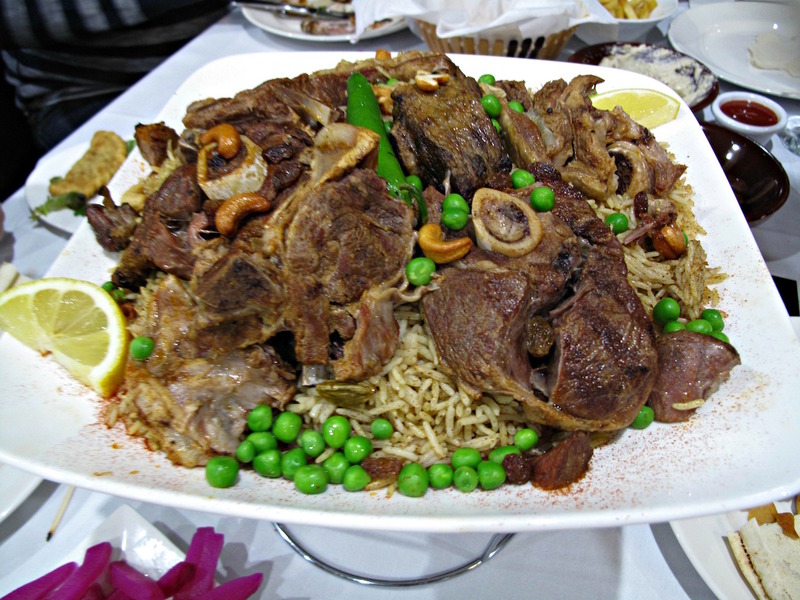 So it’s a mighty hoot to try the extended Mankoushe restaurant with CTS pal Marco. 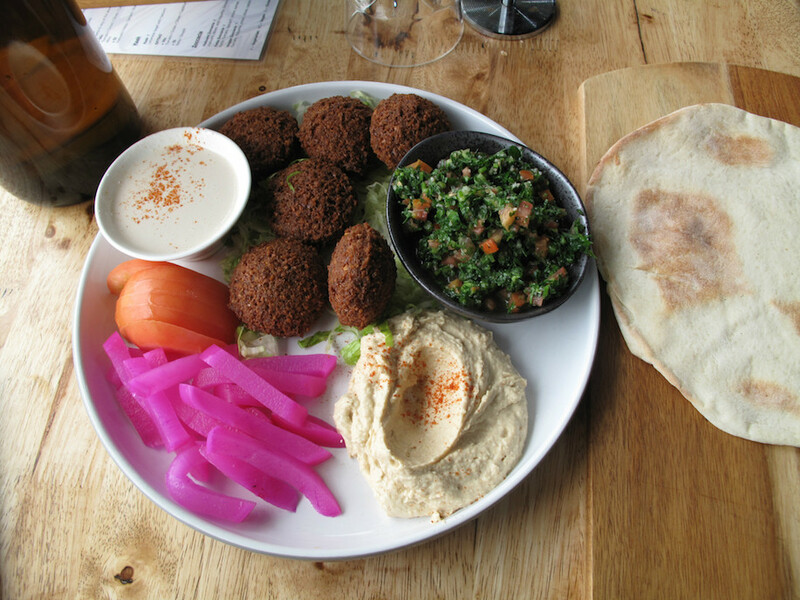 No kidding, this is brilliant Lebanese food at ridiculously affordable prices – a match and more for any of our favourite Coburg haunts and even fancy places such as Ablas. 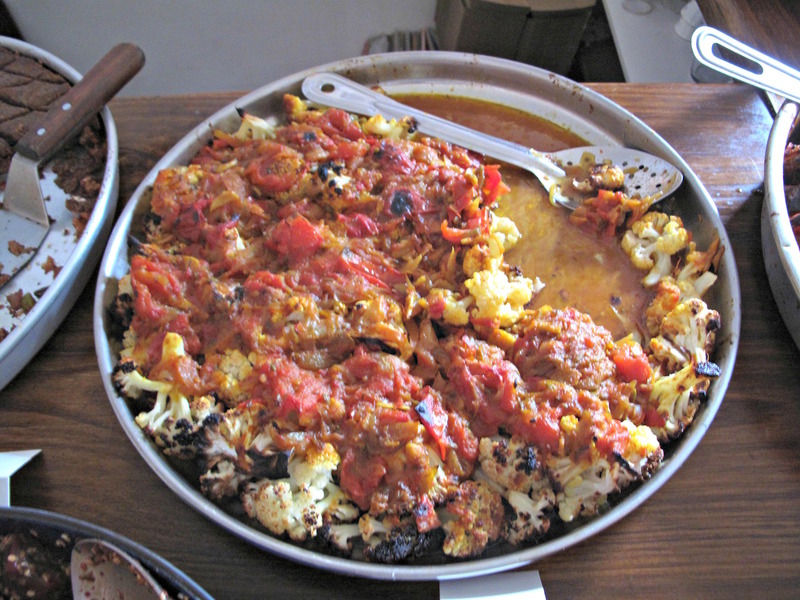 Even better, the accent is very firmly on home-style cooking. 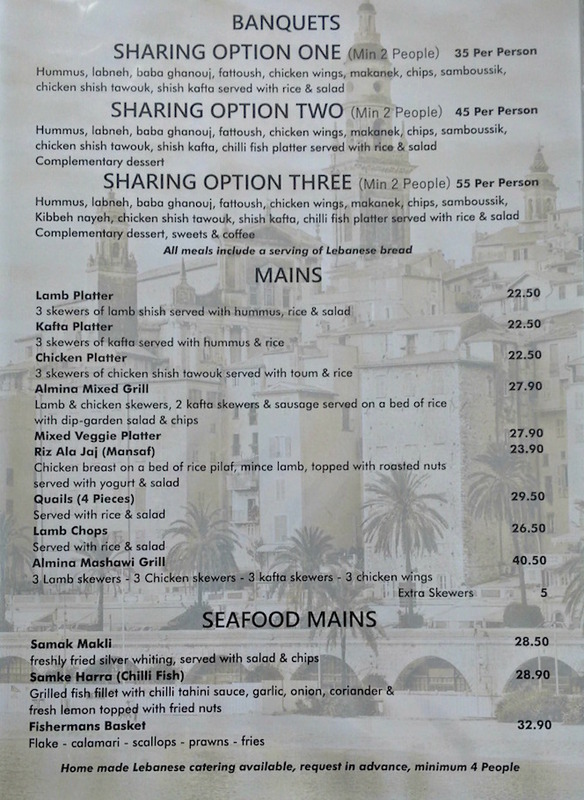 There’s just a single dish on the Mankoushe dinner menu that mentions the word “kebab” – and that’s an entree. And there’s not a dip to be seen. 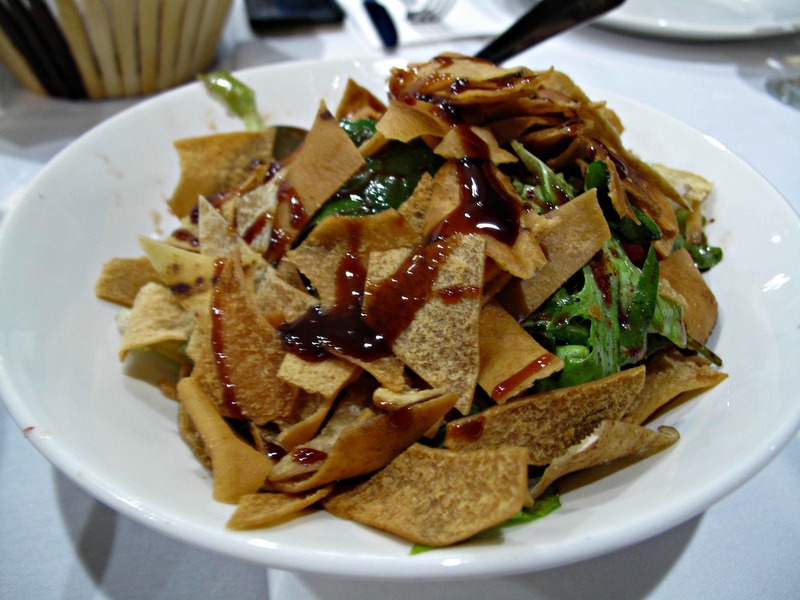 Mankoushe is an outright champion for vegetarians, too – we almost go meatless ourselves, but are seduced by the meatiest of the three main courses. 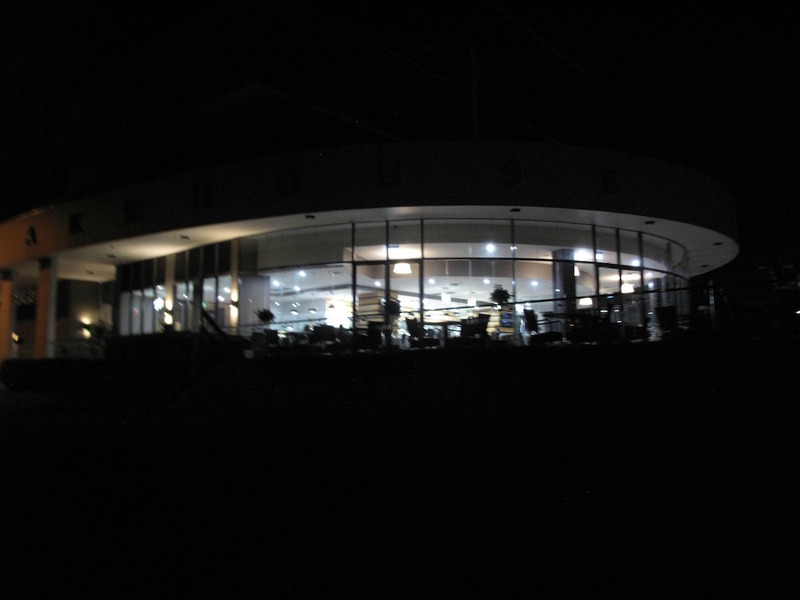 It’s a busy Sunday night and we haven’t booked, so end up perched at the window bench right next to the door – but the food is so amazing, we care not. Our various choices arrive with admirable promptness and the service of fine and friendly. 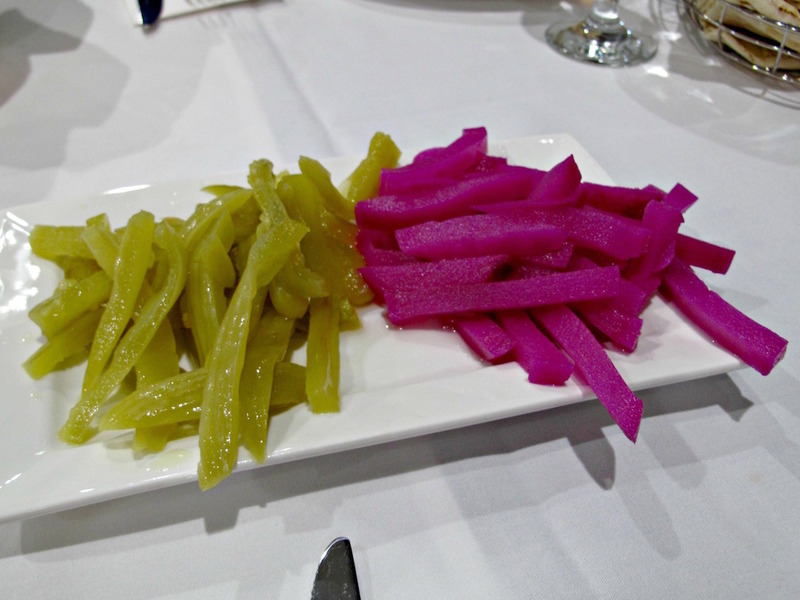 House-made pickles ($5) are crunchy, of mild sourness and very good – jars of the various veg are on sale to take home. 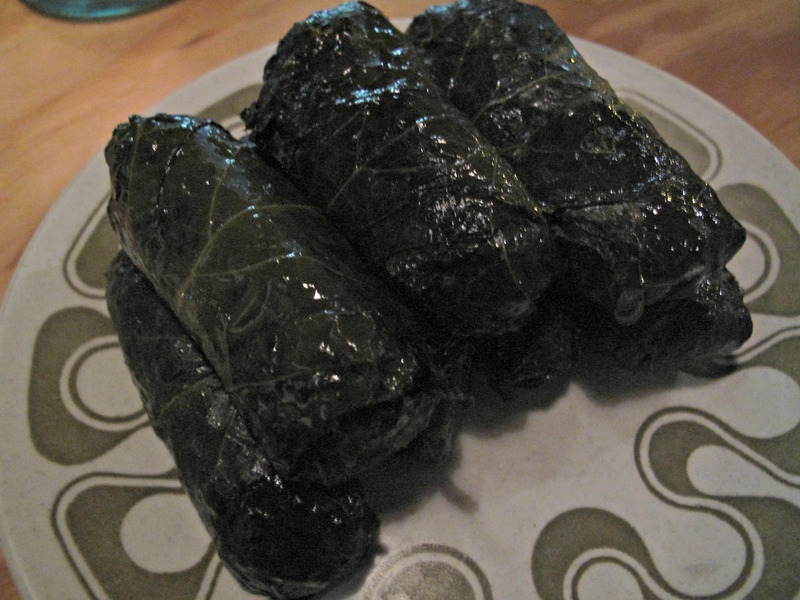 Stuffed vine leaves ($12) are warmed though, heavy on the lemon (yay!) and with just a touch of dill and chilli. It’s a very generous serve for the price. 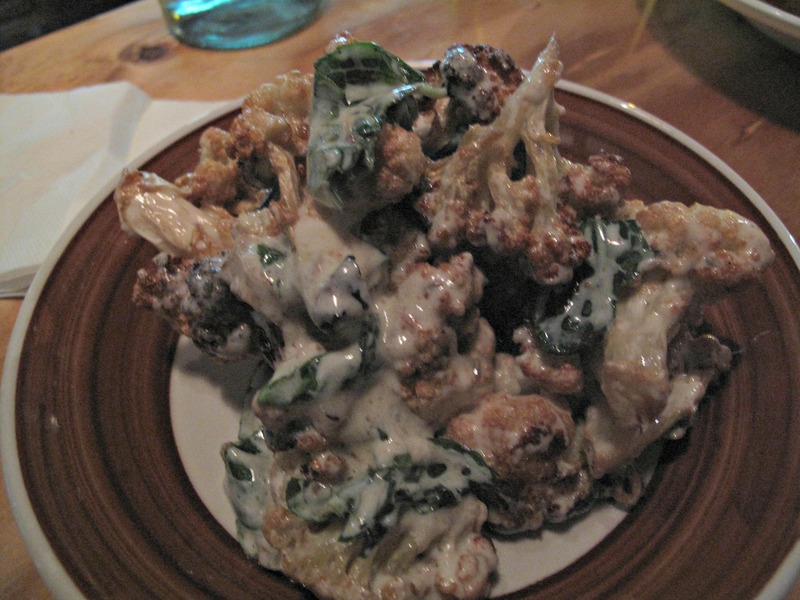 Roasted cauliflower salad with minted yoghurt and sultanas ($10), one of three salad offerings, is another generous serve – so much so, we do not finish it off. It’s gorgeous – and manages that neat trick, one we always admire, of being both a little crunchy and very pliable. One of our two mains (top photo) is purple turnip stuffed with, green peas, basmati rice and fresh herbs and topped with walnut tarator. It appears to be of modest proportions for the $21 asking price – but as is so often the case, eats bigger than it looks. The turnip lends a slightly bitter tang to proceedings, but there’s no doubting the quality and yumminess of the filling. 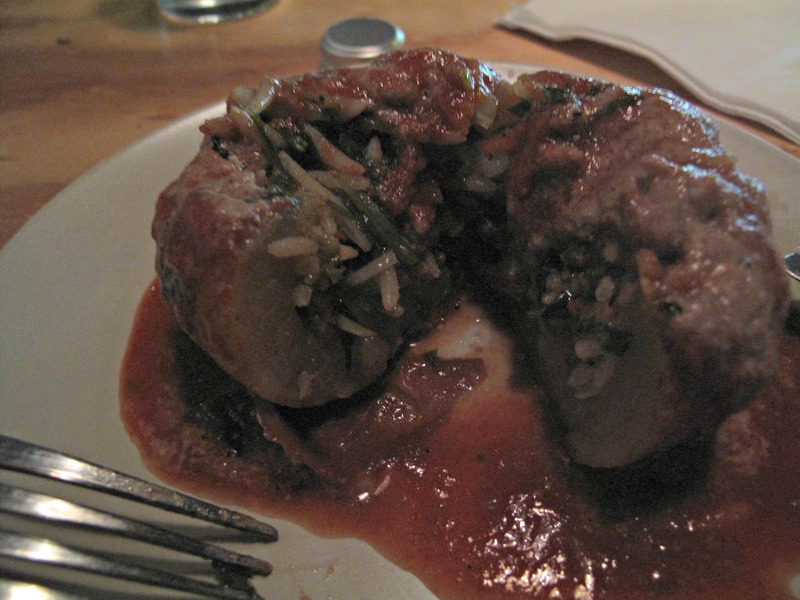 The walnut sauce is nice but is swamped by the tomato sauce in which our turnips reside. OMG, OMG, OMG – how good is this? 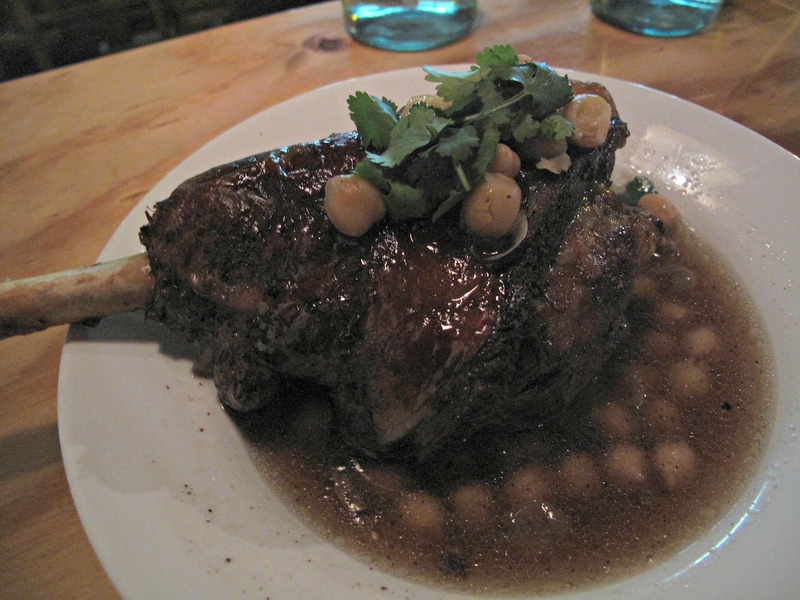 Wood-fired short lamb leg with chickpea dressing ($28) is another ripsnorting bargain – we’d expect pay an extra $10, $15, $20 or more for this in a flash eating house or pub. And paying the equivalent of $14 each, we two eat till we metaphorically drop. It really is amazing, the meat every bit of fall-apart tender and juicy as we could ever expect. 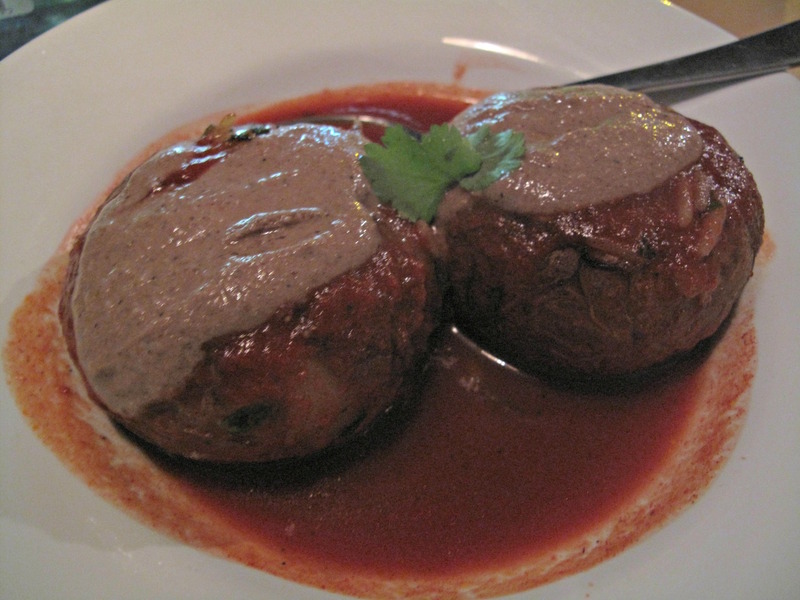 Two are listed – coffee and cardamom poached dates with labne ($8), and milk pudding with Iranian wild figs and sugar syrup ($11). Based on our meal, I’m sure they’re awesome – but we have eaten so well and so much, they’ll have to wait for another visit. 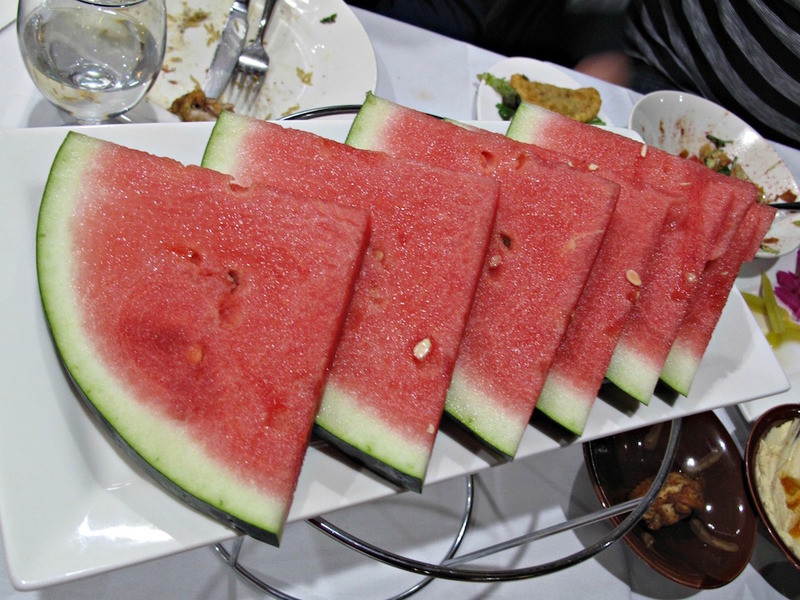 Mankoushe is a Melbourne star, its prices and unassuming comfiness a stark and wonderful contrast to the excellence of the food. Mankoushe is a cash-only establishment. 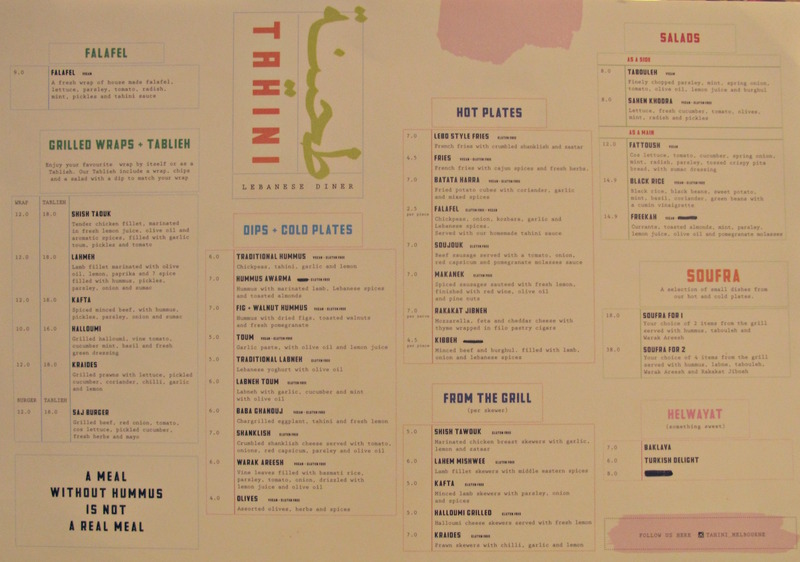 A mid-week appointment finds me in a good place to check out a newish CBD joint of Middle Eastern persuasion, Tahini Lebanese Diner (518 Little Bourke Street, off Guests Lane). 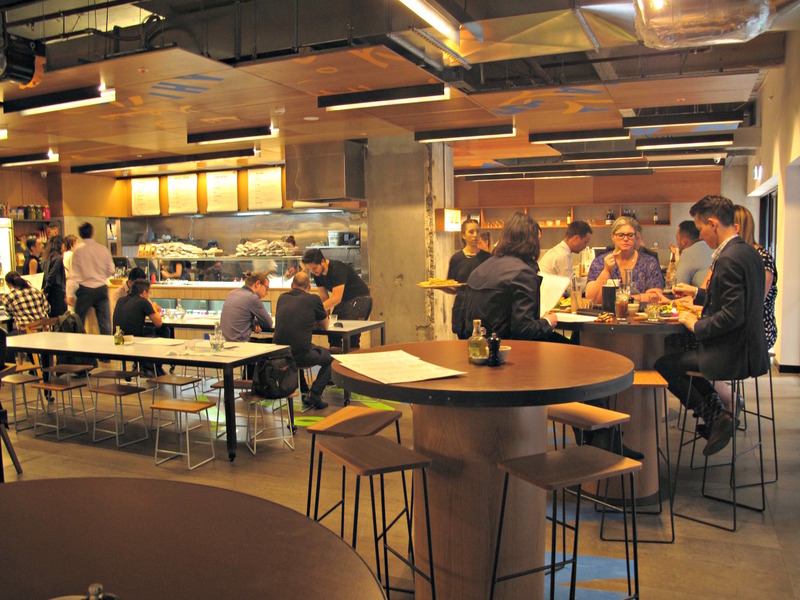 While the other end of Melbourne’s CBD has Chinatown and more going for it, the Spencer Street end teems with eateries and cafes in what seems like hundreds of alleys and laneways. Trouble, in our experience most of them are average tending towards mediocre. As I discover, Tahini is neither – it’s hot and cool, and if I lived or worked or both in this area, I’d be eating here at least a couple of times a week. 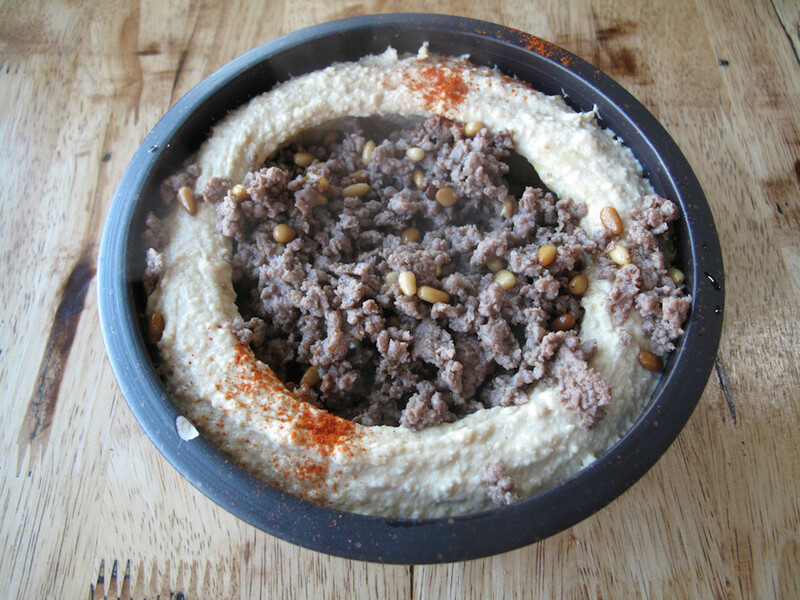 In the process of nailing down my fine lunch, I also discover that Tahini is tricky to find. A few twists and turns, though, and I’m there. 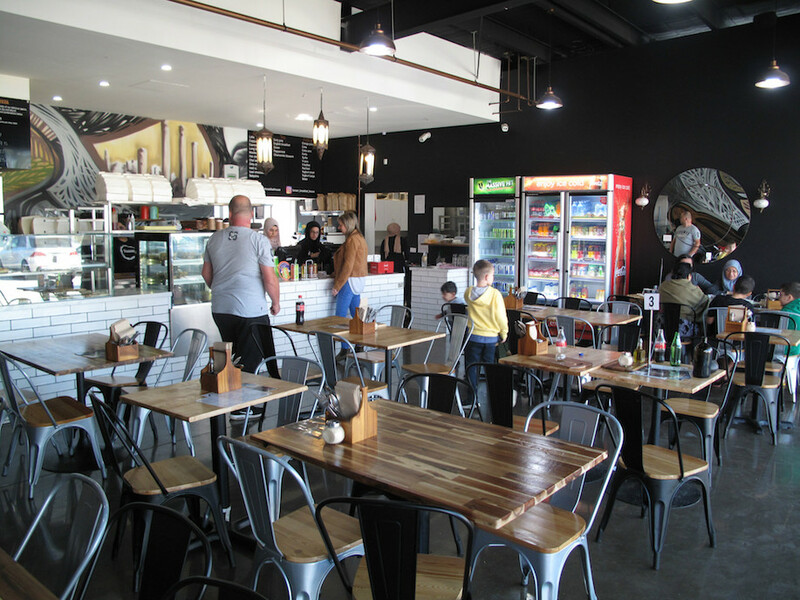 I discover a rather lovely cafe-style diner. Lunch hour is just beginning and there’s a heap of on-the-ball staff members taking care of business. 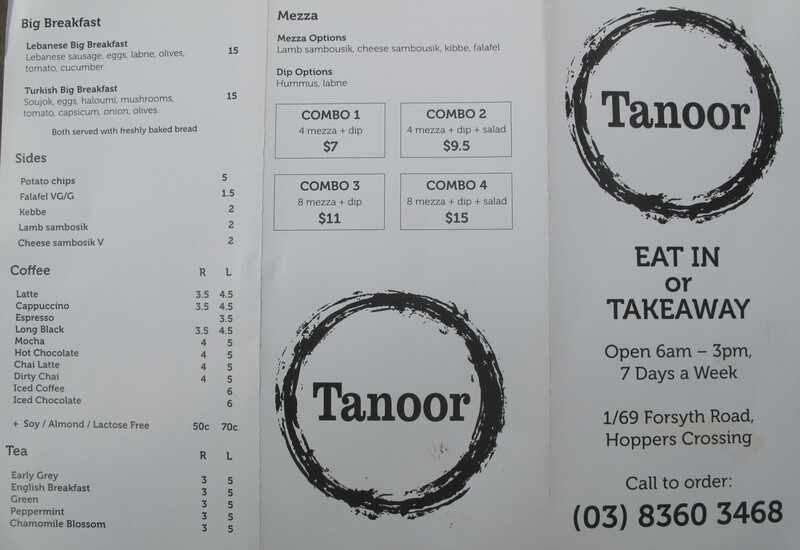 It’s with a foot-weary sigh that I happily peruse the menu (see below), upon which I find listed very many familiar favourites from our many visits to Coburg, Brunswick and even – these days – various locations in the west. Feeling like something light, I bypass such meaty items as the shish tawouk and kafta and even the reportedly world-class felafel, though it is fun watching the latter being made. 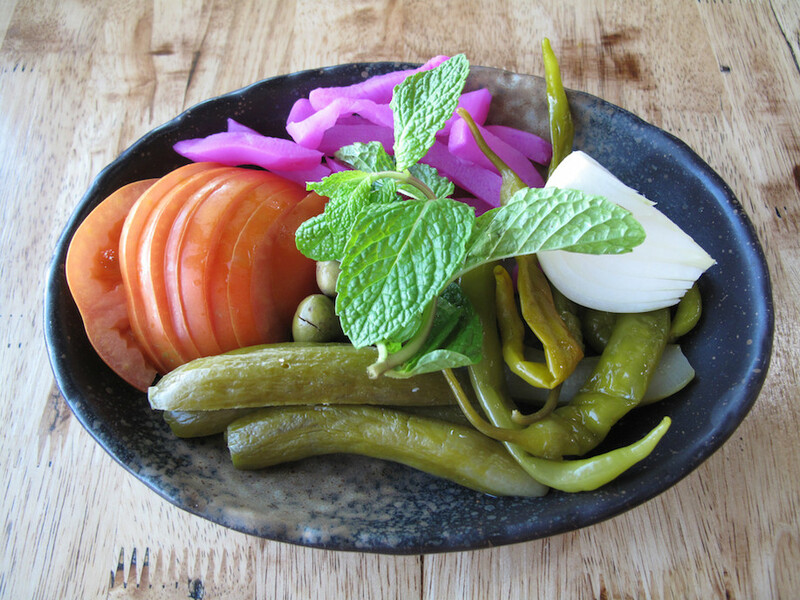 Zing goes my fatoush ($12)! It is excellent, every piece of the jumble of cos, tomato, radish, red capsicum, onion, parsley, mint and pomegranate seeds singing with lemony joy. 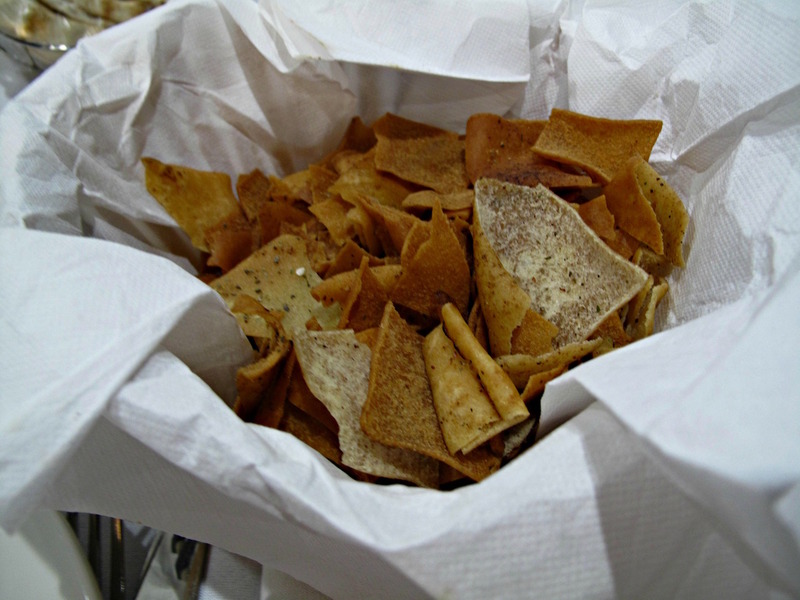 A bowl of the same herbed pita chips that are in my salad is presented on the side. 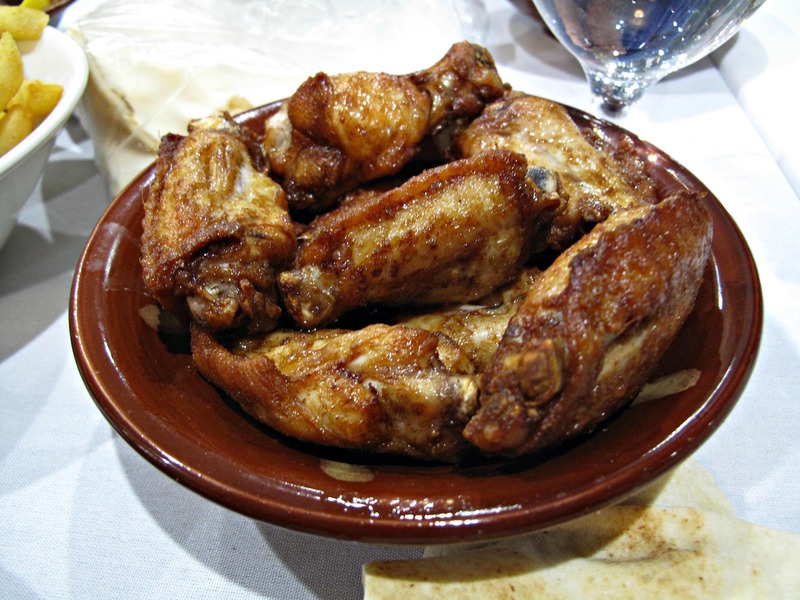 Baba ghanouj ($6) is the real-deal, too, my rather modest portion – I mind not, as it’s all I’m wanting – tap-dancing all over my tastebuds with the expected and desired smokiness and lemon and garlic. 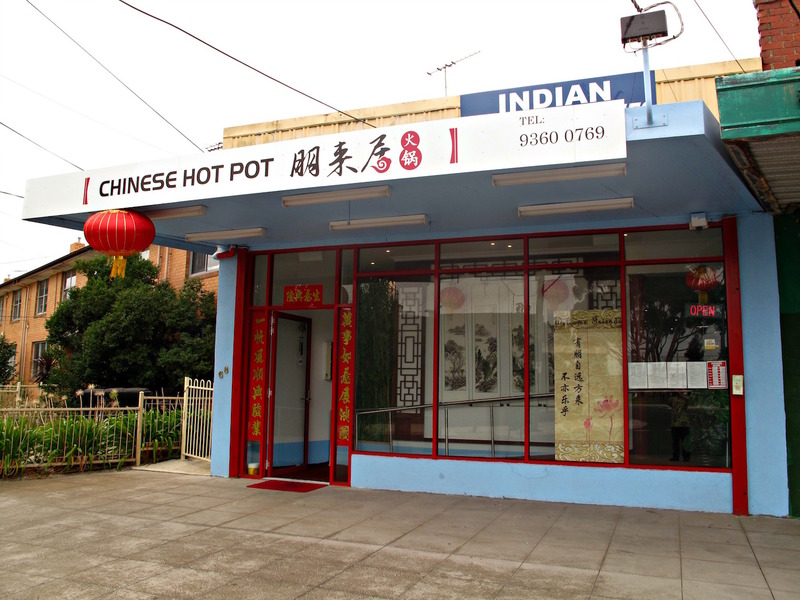 Down on sleepy Woods Street, Laverton, Seven Star Chinese Restaurant has been open a few months, inhabiting a property formerly occupied by an Indian grocery. Strolling inside, I am delighted to find a rather lovely and swish dining room. 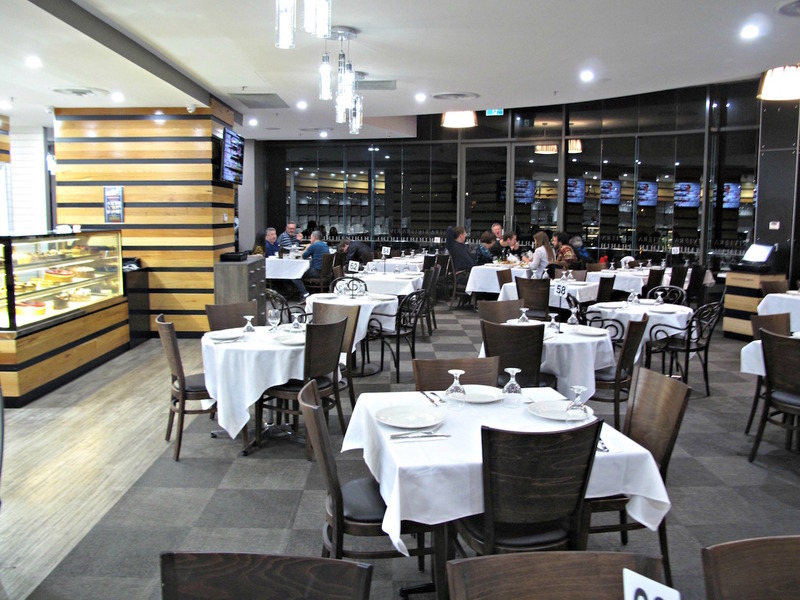 At Seven Star, dishes such as beef with black bean sauce and satay beef with vegetables are relegated to the “Oz style Chinese dish” section of the menu. 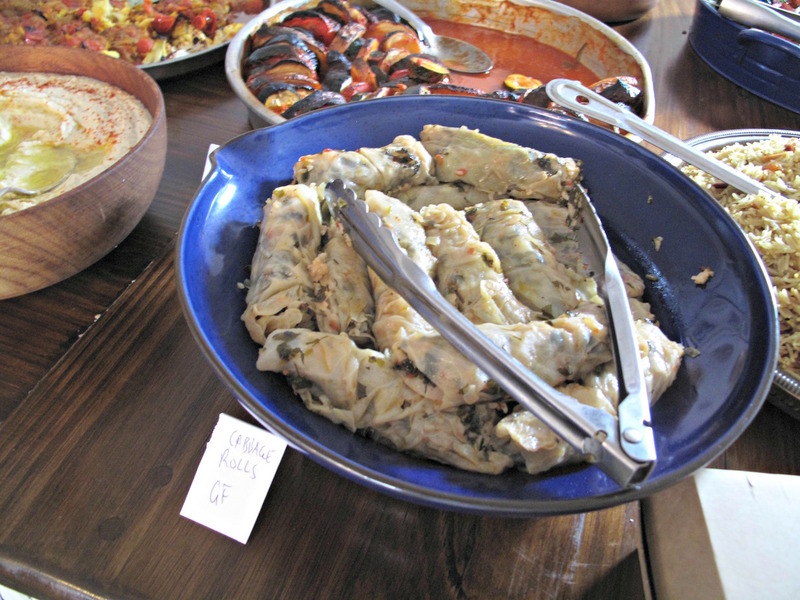 Under the “Authentic Chinese dish” section are to be found such overtly interesting fare as garlic pig tripe, fish flavour eggplant with pork mince, crispy pig trotters and boiled fish with pickled cabbage and chilli. There’s also a cold list that includes fried peanut salad, oily chicken, wined chicken, pig ear in chilli oil and braised chicken giblets. CTS will be checking this place out for sure, so stay tuned for a review! 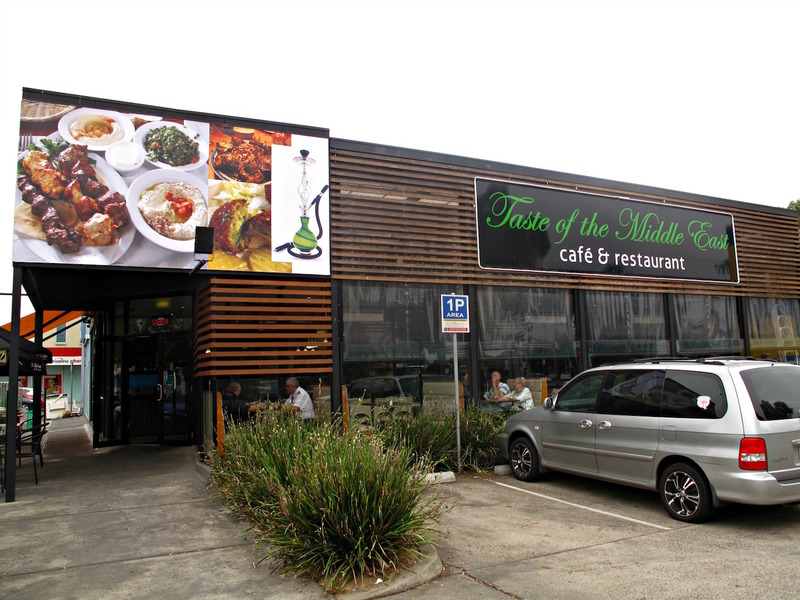 Taste Of The Middle East is on Synnot Street in Werribee, right next to Coles. Following up on a reader tip – thanks, Clint! – I am surprised to find that it’s no longer in the “coming soon” category but is up and running for Sunday lunch. However, I soon discover a menu that’s dedicated to eggs, steak sangers, parmas and the like. 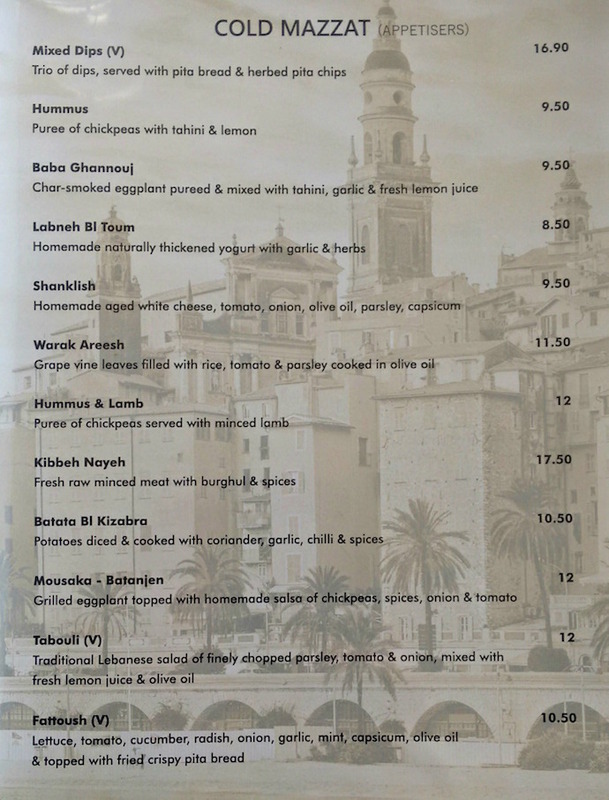 Turns out the regular cafe menu will continue to run in the mornings and I’m a day early for the Middle Eastern goodies, which will kick in later in the day – beginning the day after my brief visit. We’ll be checking this one out, too. Coming soon is Dosa Palace in Altona. 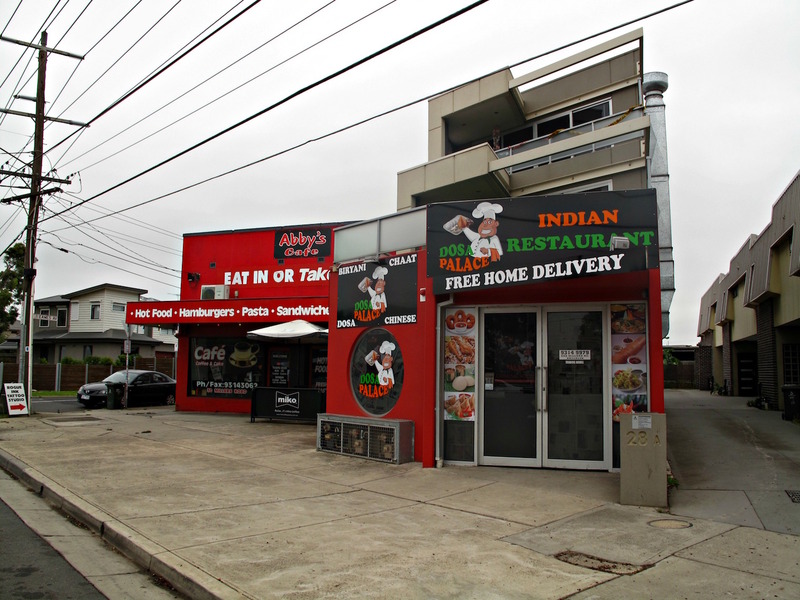 Brought to us by Nagesh of Hyderabad Inn fame, it’s located on Millers Road, Brooklyn, between the West Gate Freeway and Geelong Road. This is undoubtedly a novel place to open a restaurant, with solid commercial/industrial on one side of Millers Road and a rather lovely residential neighbourhood tucked away on the other. 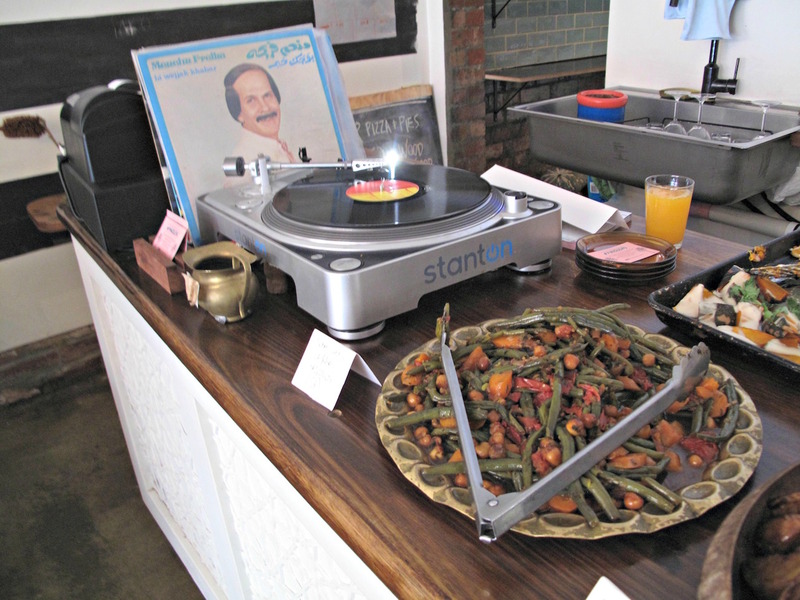 Despite the name, expect pretty much a full-service Indian line-up of food.